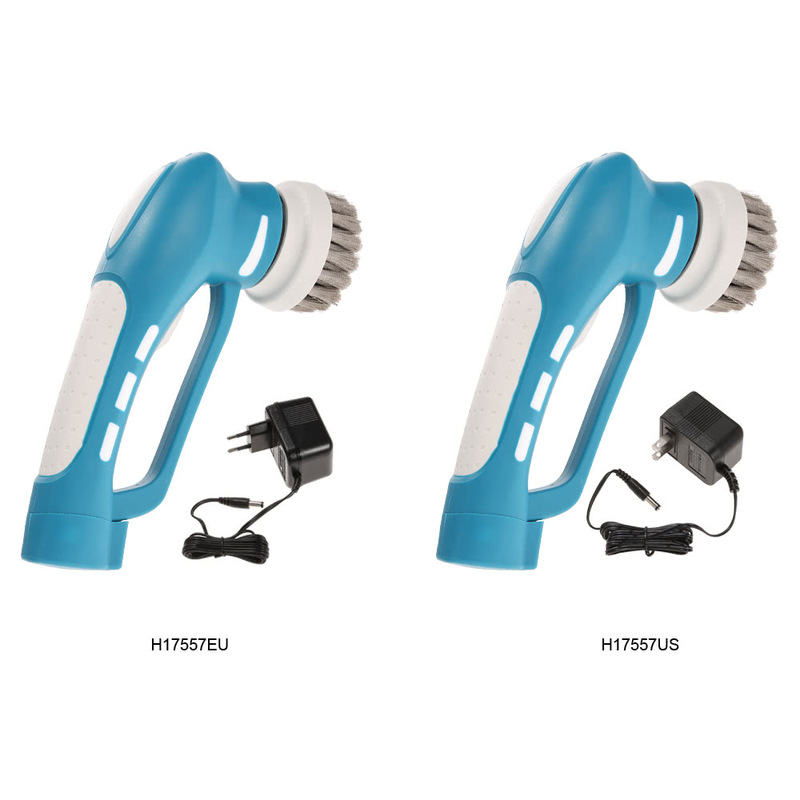 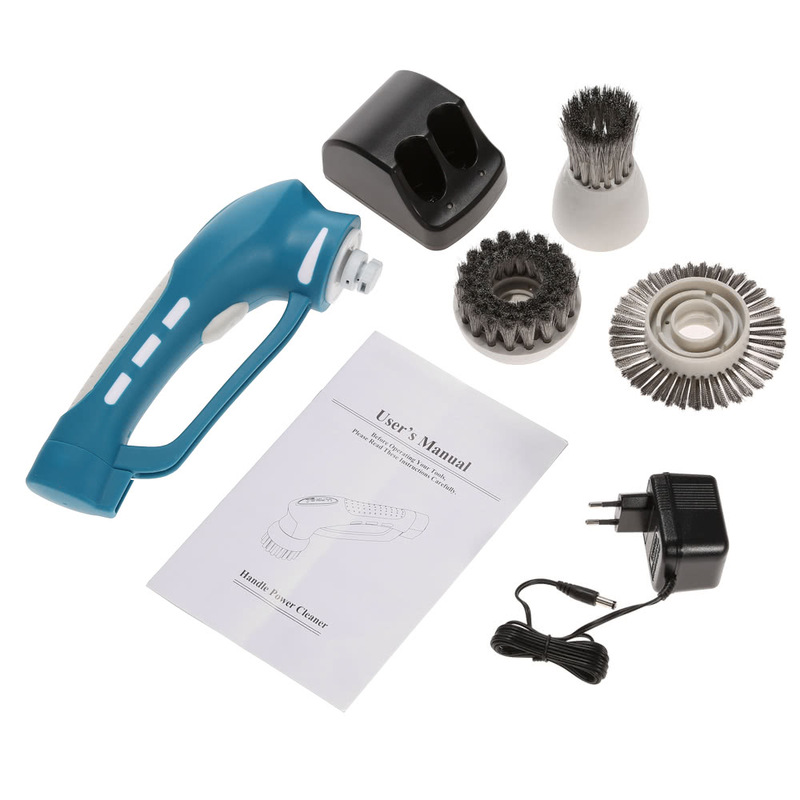 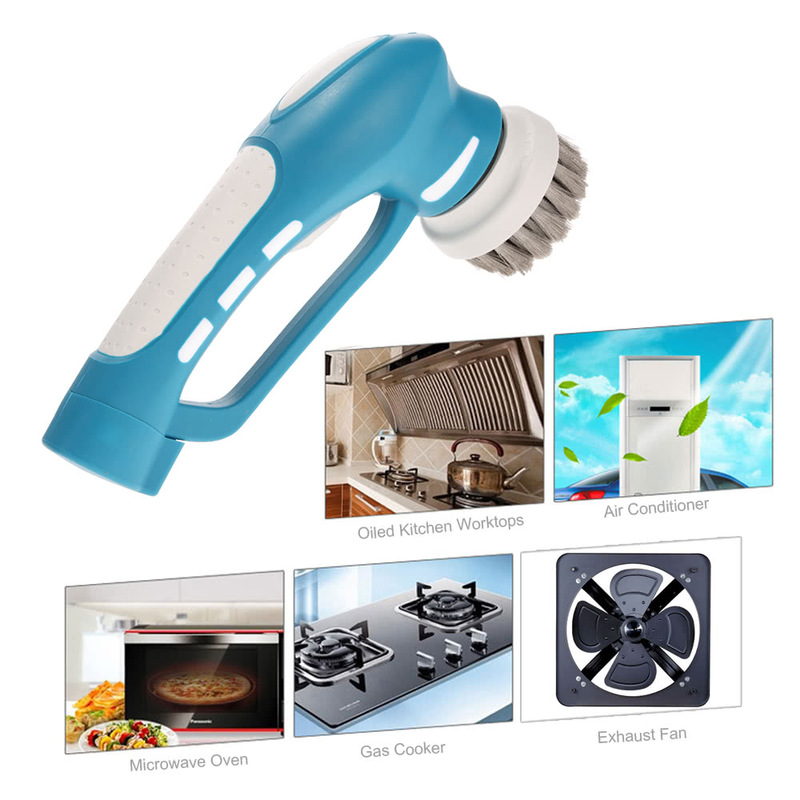 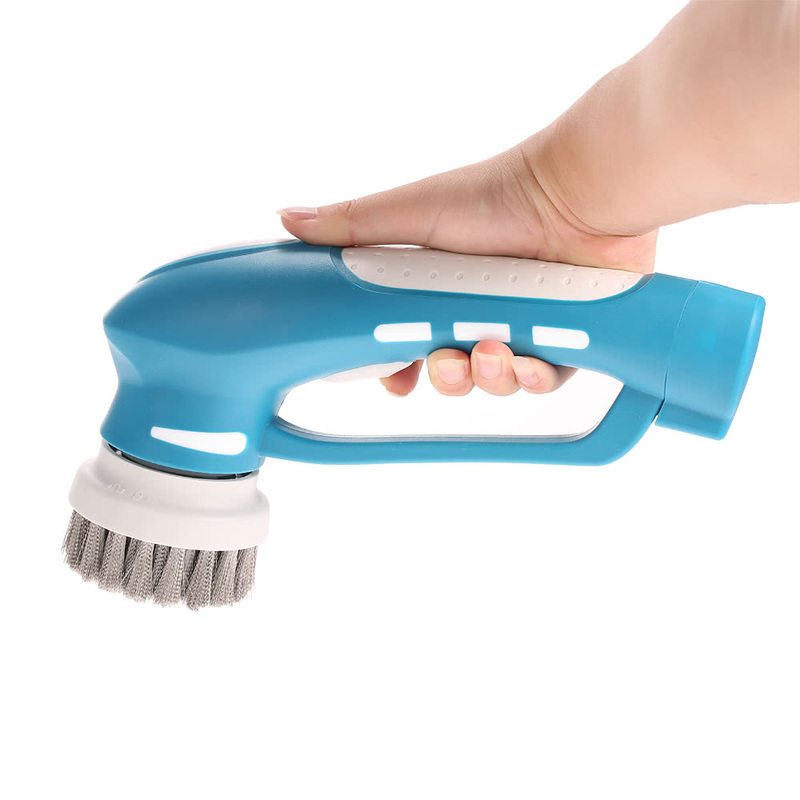 Our professional cordless electric handheld power cleaning tool is waterproof and mainly used to clean BBQ grill, bathroom, kitchen and industry. 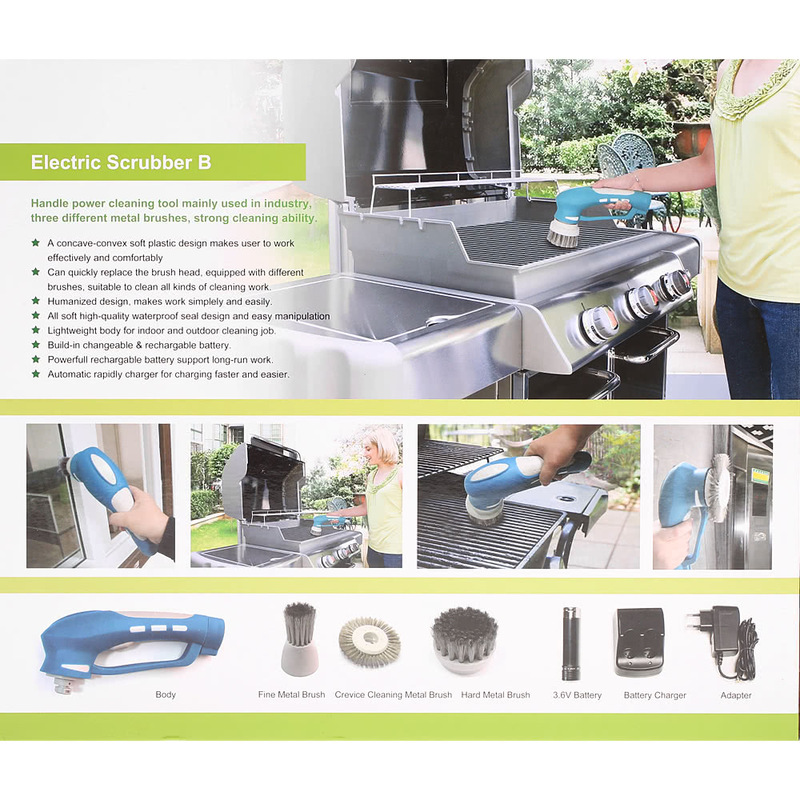 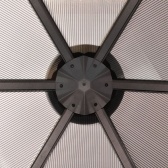 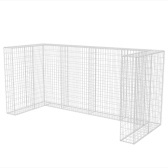 To clean BBQ, grills, bathroom, kitchen and outdoor scrubbing needs, places hard to scrub, to polish rusted plate. 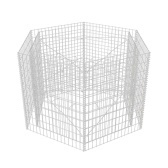 Concave-convex soft rubber design makes user to work effectively and comfortable. 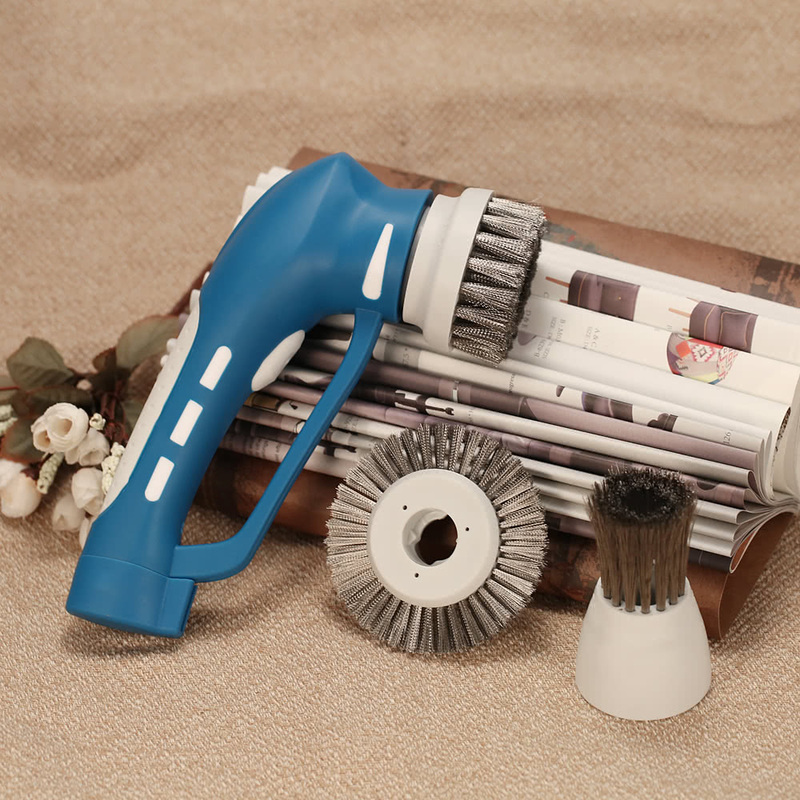 A set of 3 interchangeable multi-functional brushes to clean large area, corner and crevices etc. 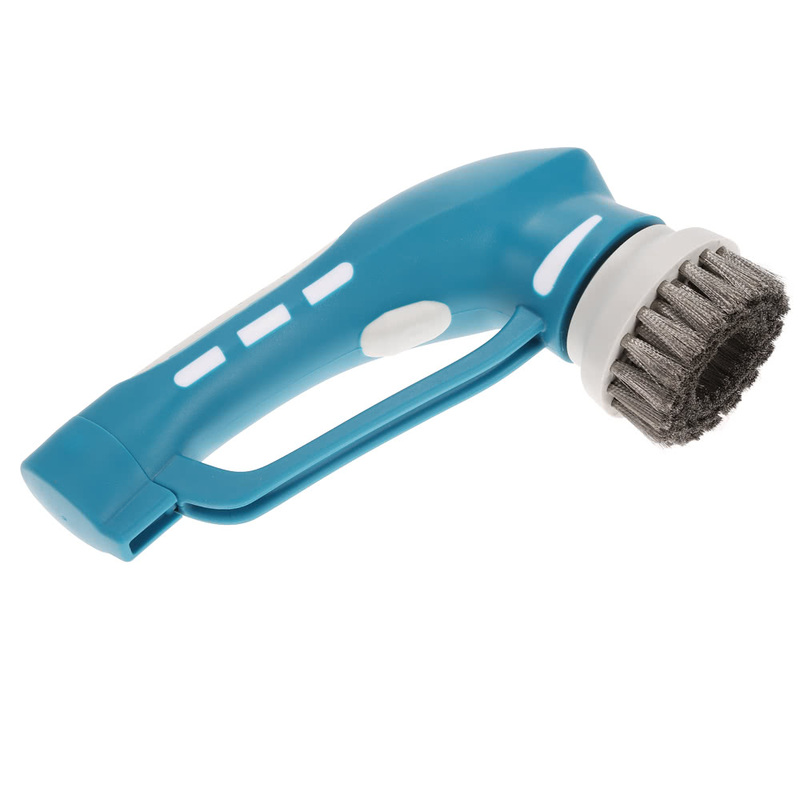 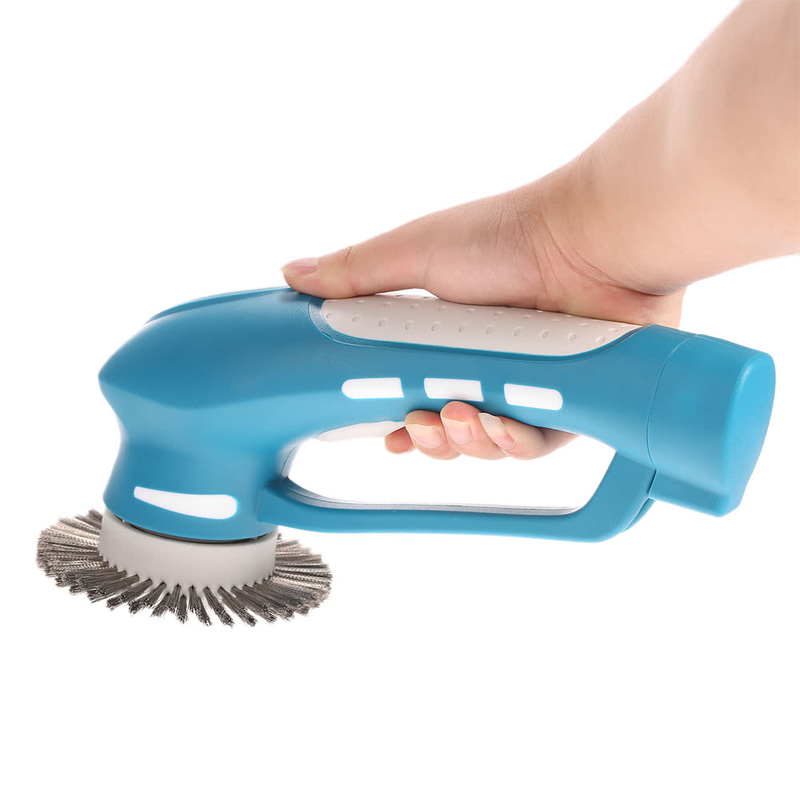 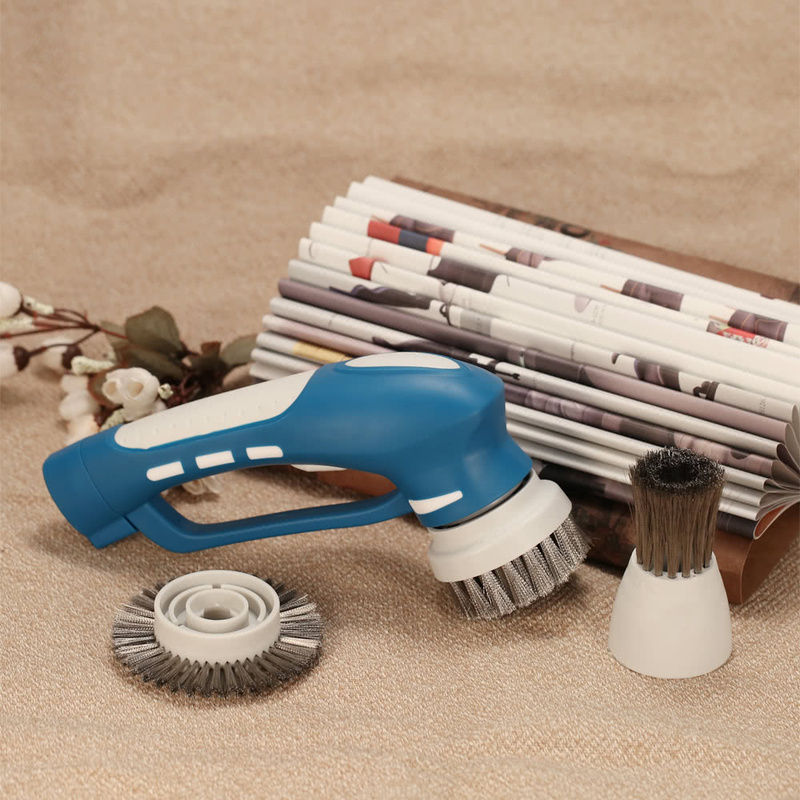 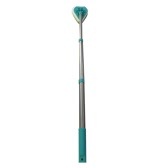 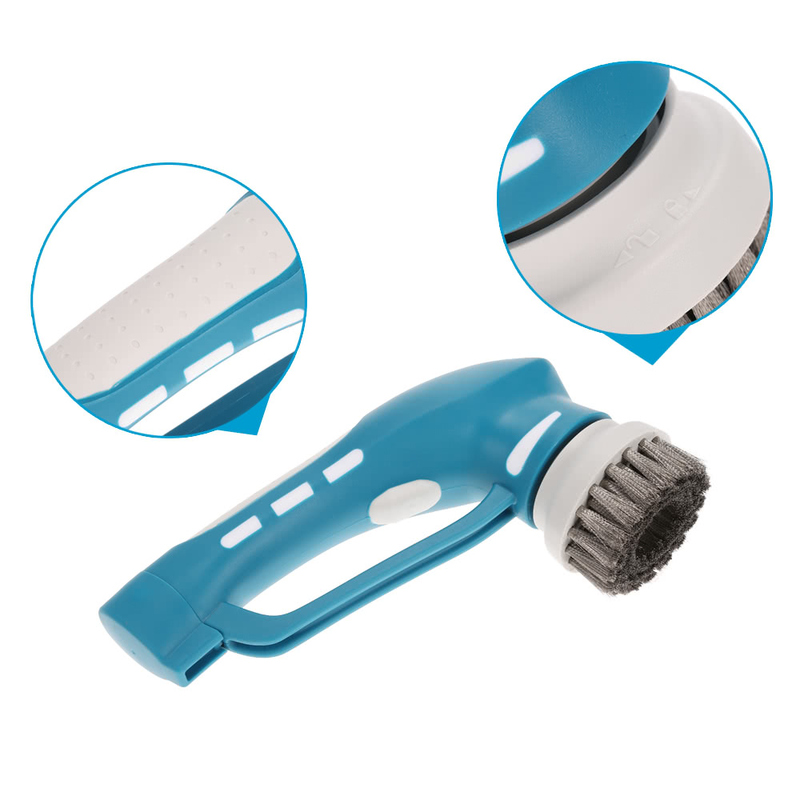 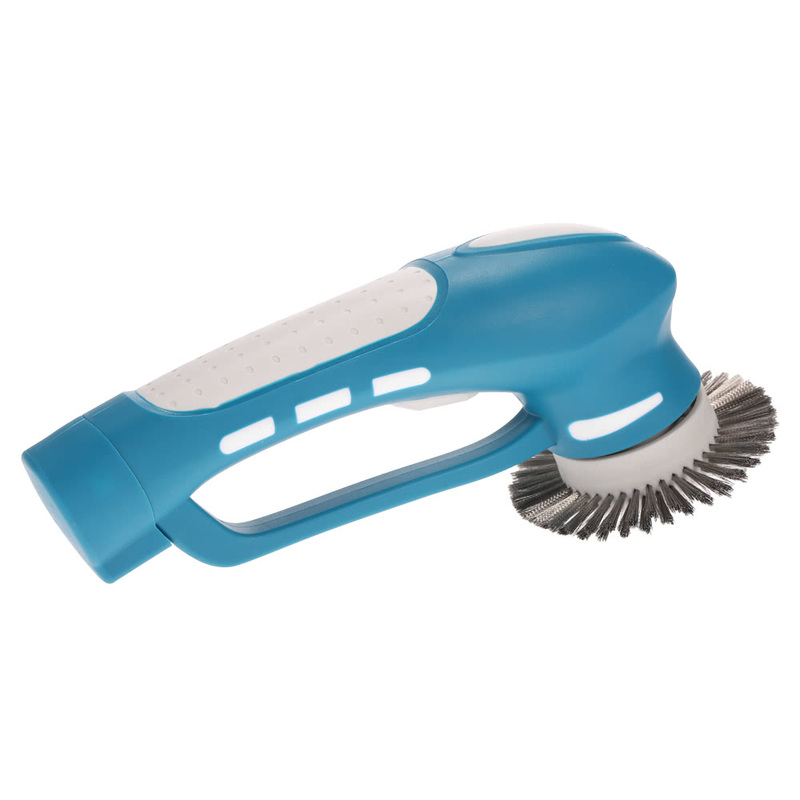 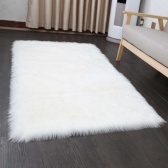 Contains metal crevice cleaning brush, metal long brush and metal short brush. 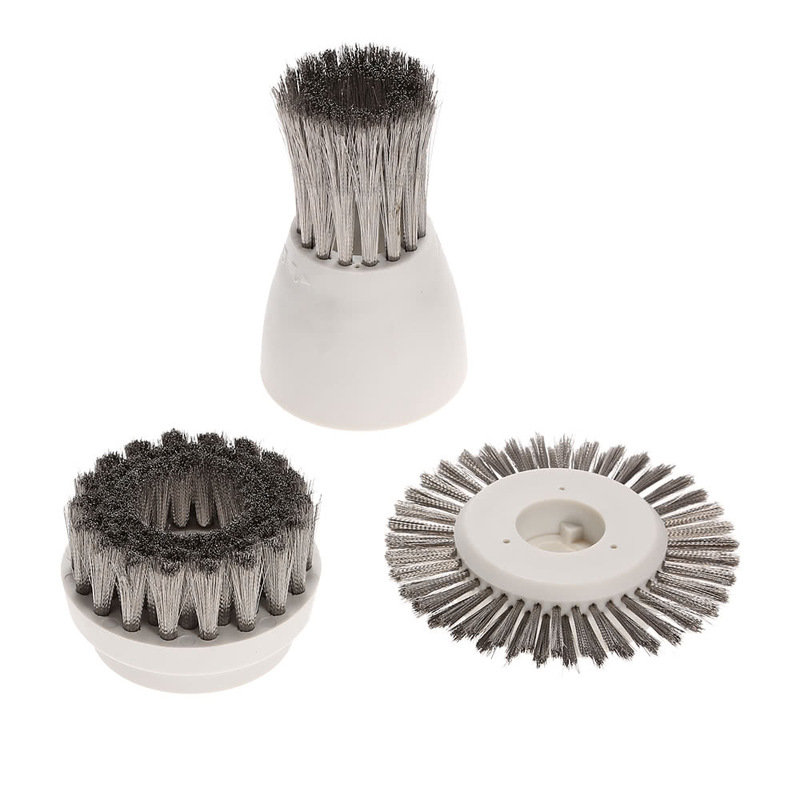 Metal brush capable to clean stubborn dirt or oil on BBQ grill. 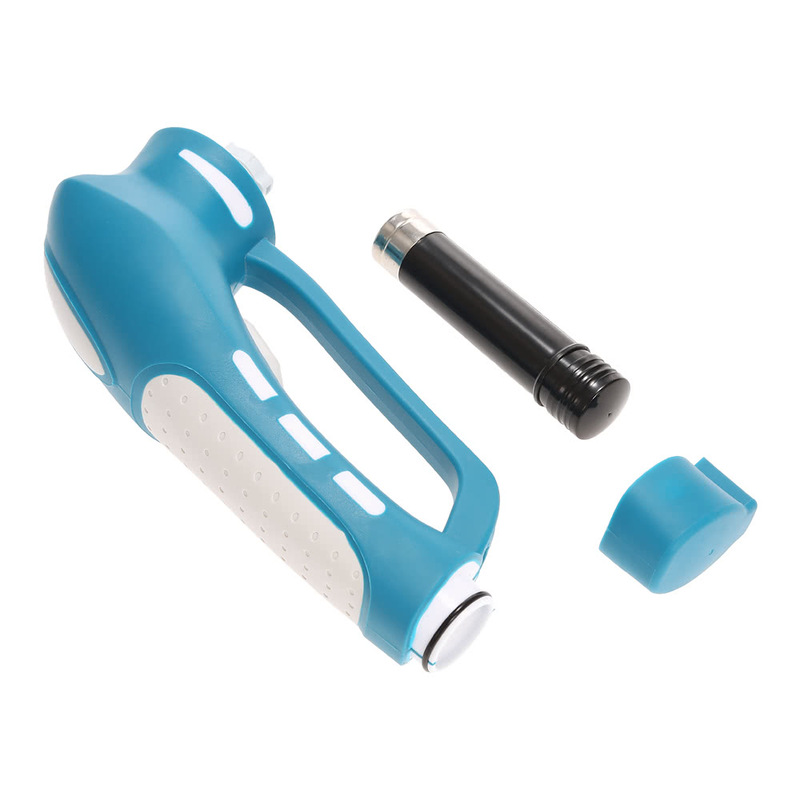 IP 7 waterproof level, strong and powerful torque. 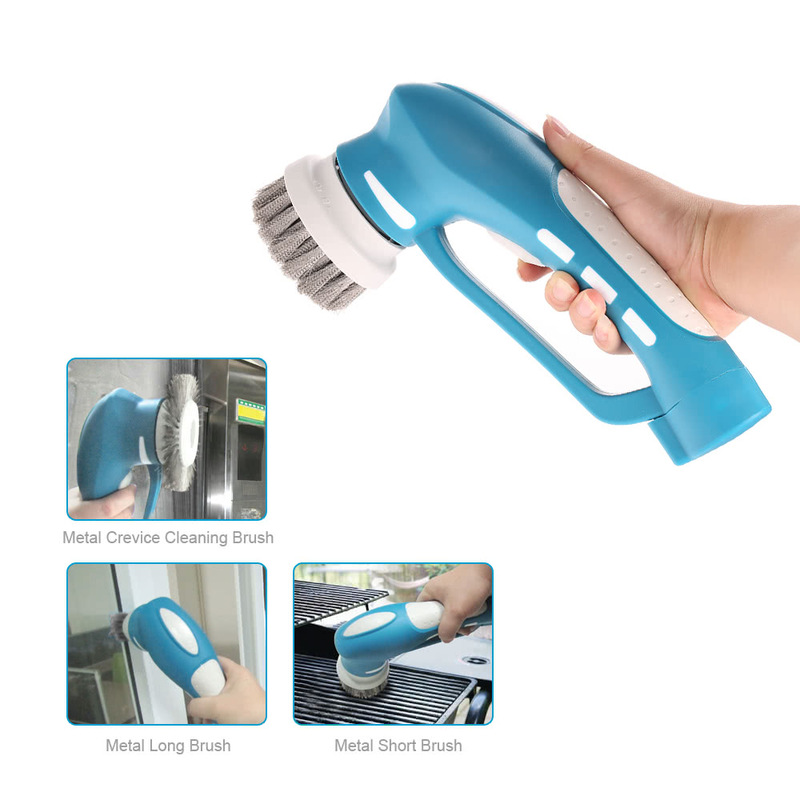 House chores will be an easy and enjoyable experience. 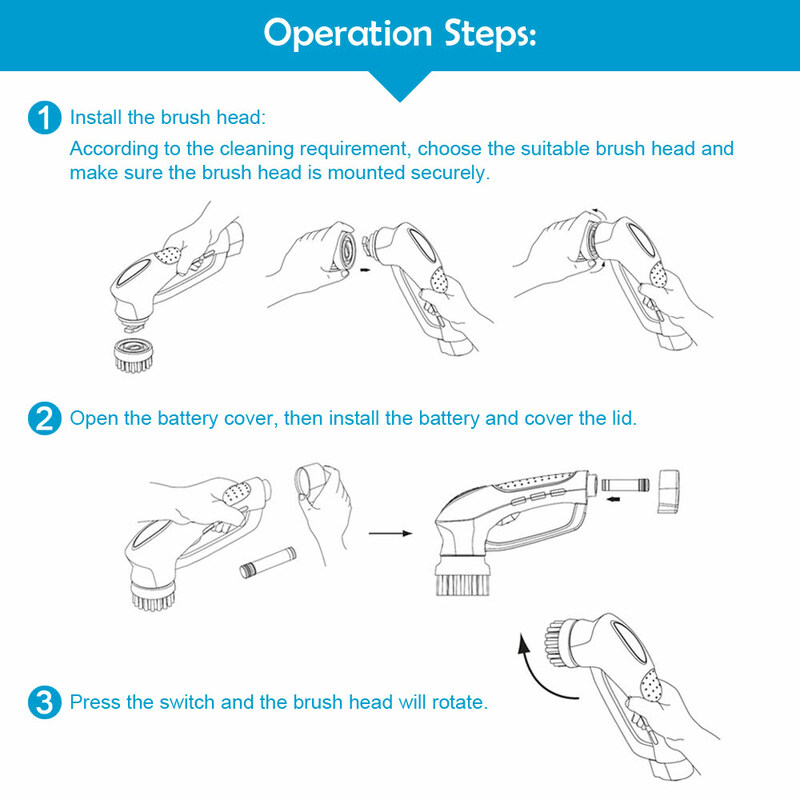 PLEASE BE VERY CAREFUL WHEN INSTALLING THE BRUSH AS IT'S HARD METAL BRUSH.